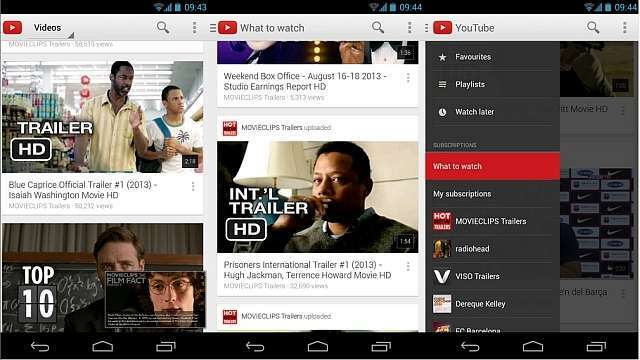 Not only the card based user interface is visually pleasing, it also lets you traverse the YouTube world in a jiffy. You can now open the guide from anywhere in the App. The subscriptions and feeds are now easily visible by just tapping on the sideways arrow on the top of the App. You can now browse through a list of videos which you might like even when you are watching some video. This was not possible in earlier version. The update also brings on the table improvements in the slide out navigation option. Another beauty of the updated App is that while watching a video on the app, you can swipe it sideways to dismiss it or drag it back up and hit the small window. To download the latest YouTube for your Android please visit Google Play here. Now to the iOS update. This update came exactly after two days of the Android one. Though many of the features in Android are incorporated in this one too. But still I am specifying the changes for your convenience. The updated YouTube app for iOS devices allows users to continue exploring videos throughout even as they continue to watch a video like the Android version. With a swipe of a finger, users can move the video to the bottom of their screen if they want to explore videos at the same time. They can always go back to viewing the video in full screen by swiping up. To dismiss the video, swipe right or left. The updated version also lets you search and browse channels for playlists, and also watch back-to-back videos. Google has also introduced nifty tweaks to the existing Cast button on the YouTube App. This feature allows users to send YouTube videos from their phone or tablet to their connected TV and also view a preview screen when the devices are connected. You can now select a video and opt to queue up the video to watch it next. 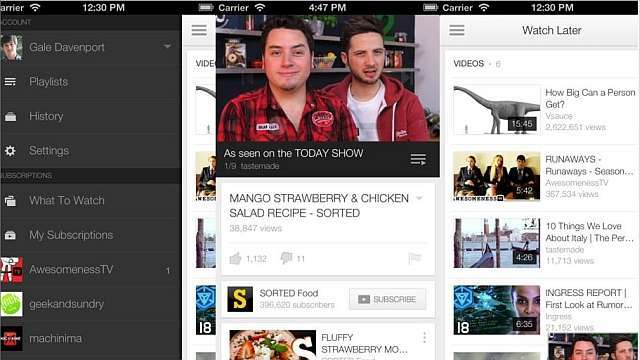 The updated YouTube iOS app is up for grabs on the App Store.